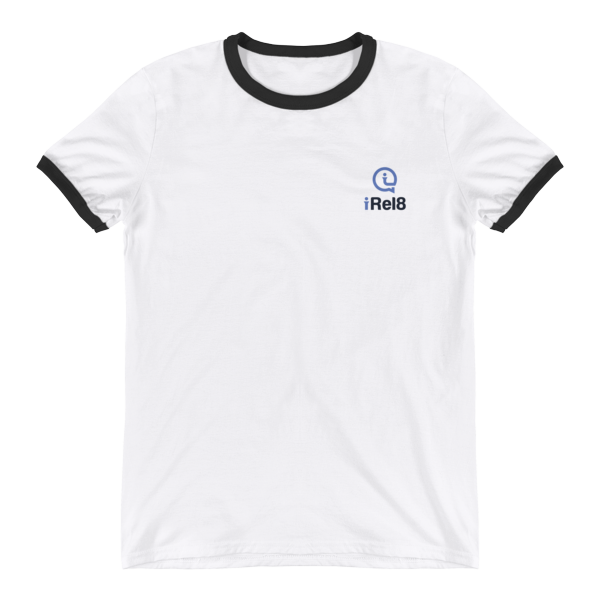 10-4 good buddy! 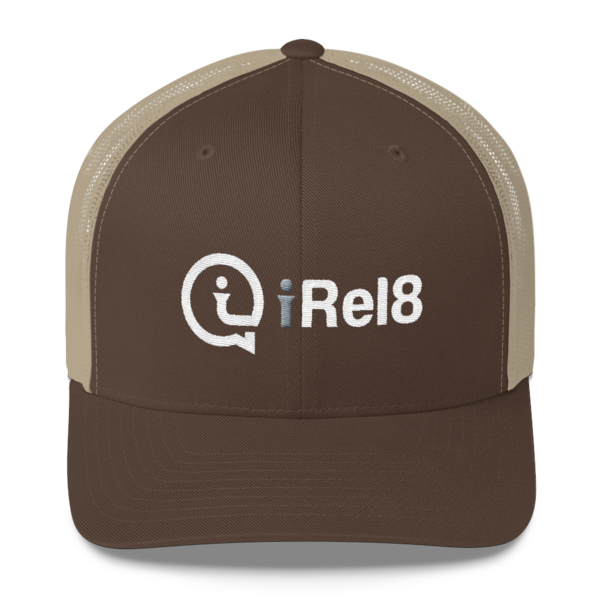 Nothing says hipness with a side of laid-back style like a well fitting trucker cap. 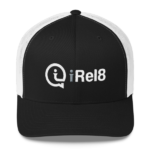 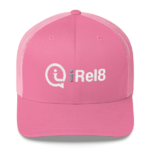 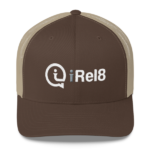 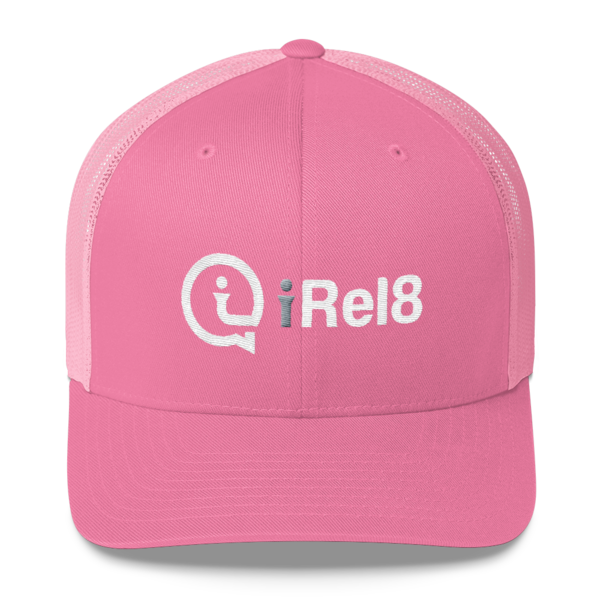 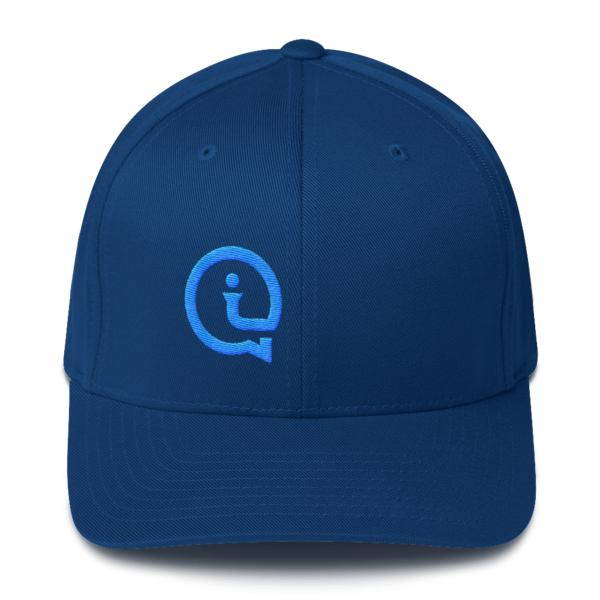 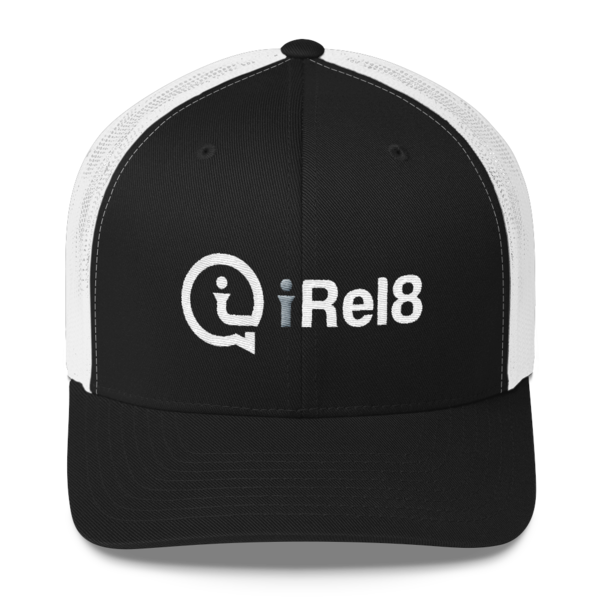 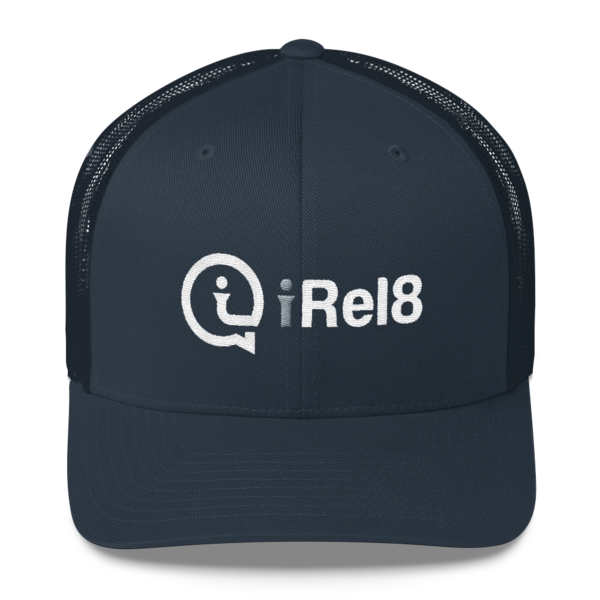 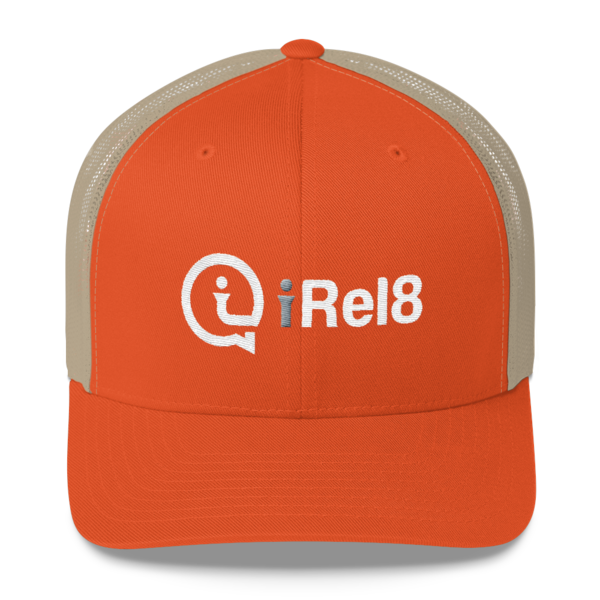 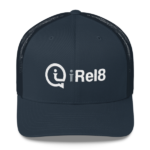 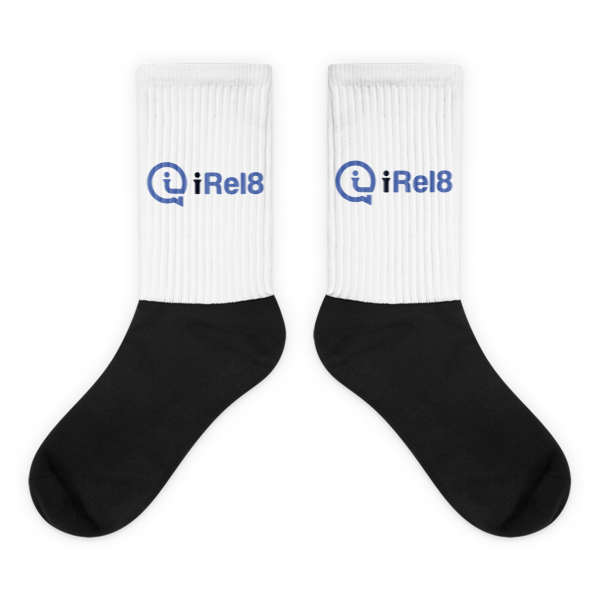 Combine that freshness with the power of the iRel8 message and the depth of your persona just reached a new level! This six-panel trucker cap with a mesh back will be a comfy and classic choice for a perfect day in the sun.